Peer-review is a process by which new arguments and findings can be blindly evaluated, validated and certified by several academic peers, working on the similar or related subjects. In a double blind peer review the authors do not get to know the identity of their reviewers and in turn the reviewers do not get to know the identity of the authors. 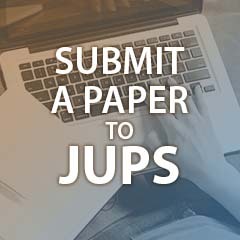 We have rolling submissions at JUPS, which means that there are no deadlines for submission and as soon as we receive the article we screen it for rejection or further review. 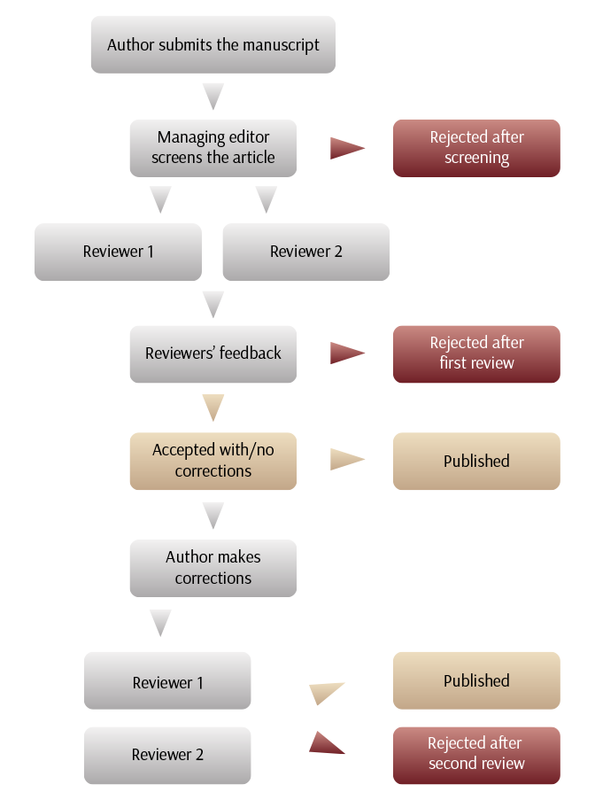 If the article is suitable for publication in JUPS, we will immediately send it to the members of the Editorial Board for review (as outlined in the diagram below). What are you adding that is crucially new? How logical are you in arguing your points? Do paragraphs flow? Are you explicit about your methodology? How valid are your data and methods? How does your research meet disciplinary standards? Upon the completion of the review process, the manuscript goes to copy editors for final edits. It will then be type-set and published on our website as part of either issue 1 or 2 in that particular calendar year.